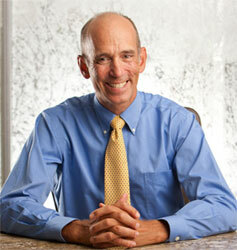 Dr. Joseph Mercola: What is Effortless Healing? If you’re currently challenged with a chronic health issue or excess weight, know that you’re not alone. Statistically speaking, you are much more likely to be some level of sick than you are well. Obesity rates are soaring – the number of obese Americans rose a full percentage point in 2013 with one in five deaths now linked to obesity. One in three U.S. adults will have full-blown diabetes by 2050 according to the U.S. Centers for Disease Control and Prevention (CDC). One in eight people 65 and over currently have Alzheimer’s, and that number is expected to rise to one in four within the next 20 years. Cancer rates are projected to rise 57% in the next 20 years, with 13 million people dying from cancer each year. Over half of the U.S. population has at least one clinically diagnosable allergy, and allergies and diseases of the immune system have possibly quadrupled in the last few decades. Any wonder you’re not feeling as great as you could be? That’s only the beginning… Visit most any doctor for any of these conditions and you’re likely to walk away with at least one prescription for pharmaceuticals. You’ll be joining the nearly 70 percent of all Americans taking at least one prescription drug for a chronic or other medical condition, with antibiotics, antidepressants, and opioids topping the list. I believe there is. And I’ve written a book to help you get on the path. 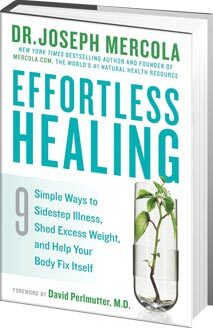 Effortless Healing is my effort to compile the best of the expert information shared over the last two decades. I’ve organized it into a guide that will help you avoid the many pitfalls of the conventional approach to health. Rather than relying on expensive and potentially dangerous drugs, I will help you effortlessly make small shifts in what you eat and how you live to achieve your health goals. I promise, Effortless Healing isn’t a book that will overwhelm you. Too many books unload a ton of information – granted, often some of it very good – but leave you to pick up the pieces by yourself and put them together. I’m going to walk you through nine simple steps – or healing principles, one at a time. Each principle builds on the next, so I’m going to ask you to take them in the order I present them in the book. You’ll start small, but each new habit you create will have a big effect on how you feel and will give you the energy and motivation you need to keep going!